Are Meghan Markle and Prince Harry Having a Baby Girl Who Will Be Named After Princess Diana? The Duke and Duchess of Sussex Meghan Markle and Prince Harry are prepping up to welcome the Royal Baby who is expected to arrive in April. While bookies are betting on who'll be the Royal Godmother to Baby Sussex, the latest hearsay, the baby might be getting named after her grandmother. Yes! You heard it right, the Royal Baby may be named after beloved Princess Diana. Even though the royal couple have kept the gender of the baby under wraps, reports are suggesting that gamblers in the UK are betting on Meghan having a girl. According to reports, experts are putting the odds at 8/11 for Meghan and Harry’s firstborn child to be a girl. Diana is at 10/1, a major favorite. The Duke and Duchess of Sussex are most likely to name their child after their mother it won’t come as a surprise. Alice, Isabella/Isabella, Alexandra, Elizabeth, and Grace are some of the other names that are being suggested. What Are the Odds That Priyanka Chopra May Become the Godmother to Meghan Markle and Prince Harry's Royal Baby? 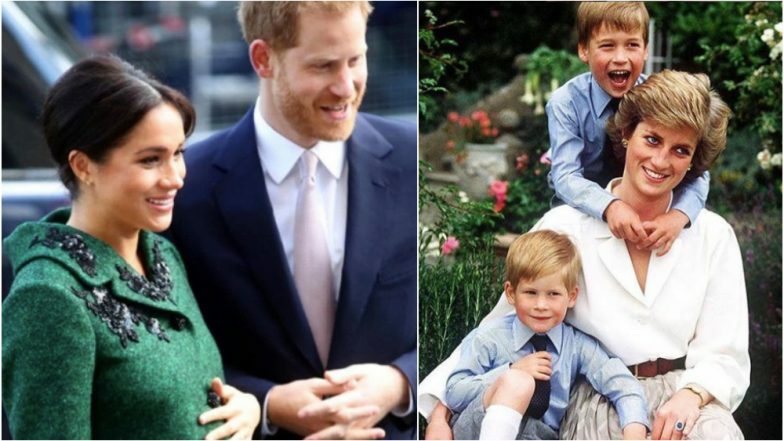 The Palace had earlier revealed that the couple will welcome baby Sussex in April 2019 and now the fans of the Royal family are waiting to hear the good news. Among the contenders for Royal Baby's Godmother is also Bollywood actress Priyanka Chopra. The actress is known to have been a close friend to Meghan Markle. It will be interesting to see who will be chosen for the big honour. Meghan Markle Due Date Revealed: Priyanka Chopra MIGHT Be the Godmother to the Royal Baby.